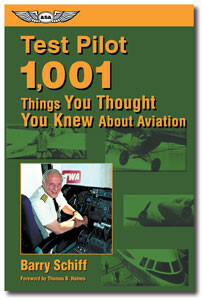 A true aviation buff, the author teaches new information, clarifies points commonly misunderstood, and provides a wealth of knowledge on the aviation industry. Illustrated throughout with unique and entertaining photographs from Barry Schiff’s own collection. Foreword by Thomas B. Haines. Softcover, 400 pages.